Need a motorcycle towing service? Looking for a towing company to tow your motorcycle Naperville, Aurora, Lisle, Downers Grove, Plainfield, Chicagoland, Illinois? Your search is over our towing company specializes in motorcycle and scooter towing. 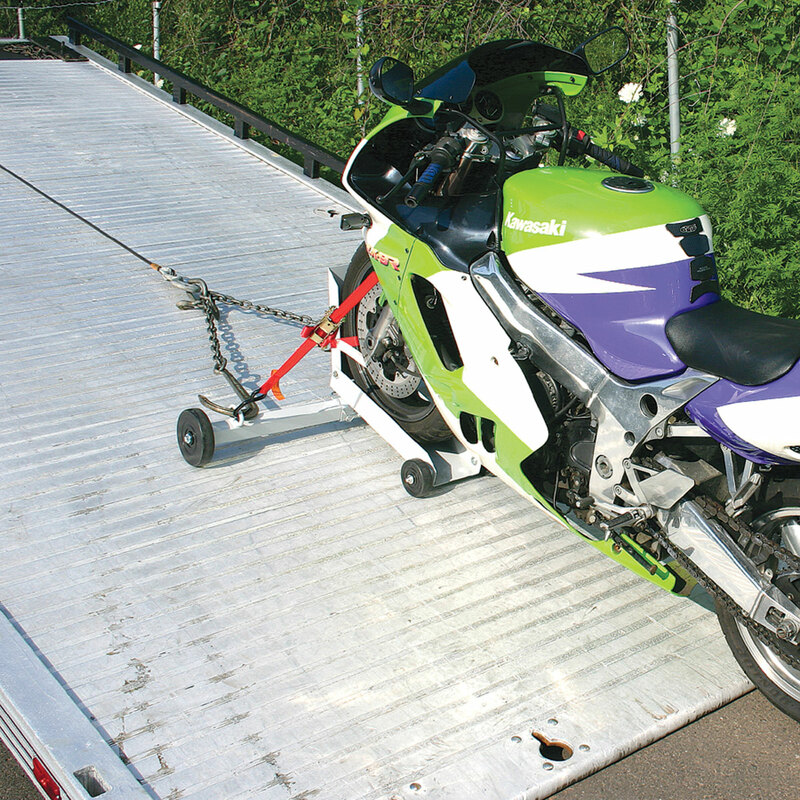 We’ve been towing motorcycles for over 23 years and are looking forward to many more to come. Call our team 24-7 for all your motorcycle towing needs. 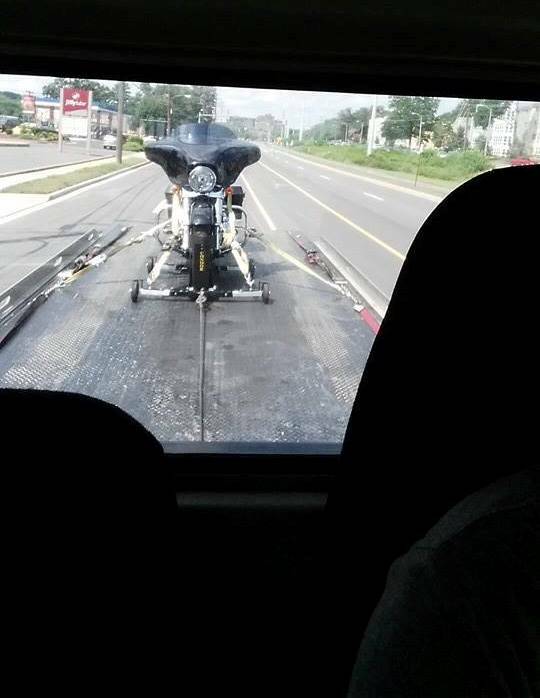 Towing a motorcycle properly takes special equipment, training, plus years of experience, which we have all three. At Tow Recover Assist we are available to tow any brand or type of motorcycle to your destination of choice 7-days-a-week, 24-hours-a-day. We’ve been towing motorcycles in Naperville, Aurora, Chicagoland plus beyond since 1995, hence we have the experience, knowledge and know how to properly tow a motorcycle. Need a motorcycle towed? 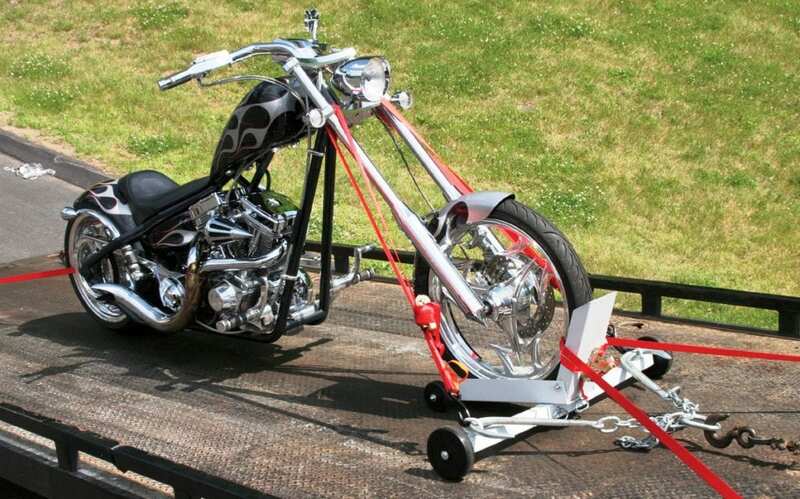 We have all your motorcycle towing needs covered. Need a motorcycle towing service near you? Yes, we are hands down the #1 local motorcycle towing provider but did you also know that we specialize in 3 and 4 wheel motorcycles, trikes, scooters, ATVs, UTVs plus Golf Carts? Call our towing company at (630)200-2731 first for safe, fast, reliable and as always affordable motorcycle towing service. Through the many years Tow Recover Assist’s motorcycle towing knowledge has grown to the point of being one of the best in Chicagoland. We have towed plus transported many brands of motorcycles, choppers, scooters, hogs, plus all kinds of other stuff all over Chicagoland. Let us show you what our premier (best in the industry) towing company is all about. Wondering what we’ve towed? We’ve towed them all including: Aprilia, ATK, Big Dog, Bimota, BMC, BMW, Boss Hoss, Borget, BSA, Buell, Bultaco, Ducati, Genuine, Harley Davidson, Honda, Indian, Iron Horse, Jonway, Kawasaki, Kymco, Moto Guzzi, Norton, Orange county, Suzuki, Triumph, Vespa, Vincent, West Coast, Yamaha plus more. Need A Motorcycle Towing Service? Our specialized motorcycle towing equipment plus highly trained staff allow us to provide a multitude of motorcycle towing services. No motorcycle is too big or small for our tow company to handle. We lead our local area in response times for motorcycle towing services. People call us first because they don’t want to worry about inexperienced people handling their precious motorcycles. We are the motorcycle towing experts near you. If you want the best, you have to call the best, let us show you what the best is all about. Besides our state-of-the-art motorcycle towing equipment, our staff works hard to make our motorcycle tow service truly top notch. We even guarantee 100% satisfaction, we know you won’t be disappointed. We treat every customer with integrity plus respect. If you need a motorcycle tow service call now, later, 24-7, we’re here for you. • Some trucks are insured for up to $2,000,000.00. 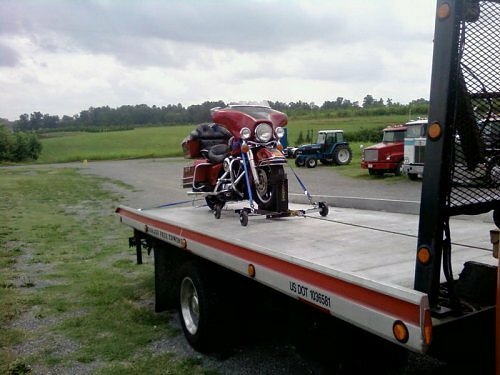 • Our team has been towing motorcycles for over 23 year. 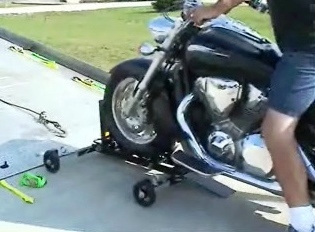 • Low-cost, fast response, damage-free motorcycle towing. • Motorcycle assistance includes: flat tires, jump starts, gas. • Local, long distance, hauling, motorcycle towing service. 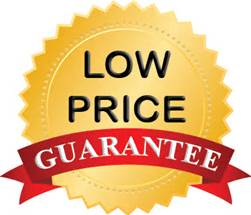 • Light, medium, plus full size motorcycle towing service. • Motorcycles, scooters, mopeds, four wheeler’s, trikes. Need a motorcycle towing service Naperville or any surrounding Chicagoland? When it comes to towing motorcycles we’re your local #1 choice. When we say local #1 choice are you wondering what we mean? Check out our motorcycle towing service area!